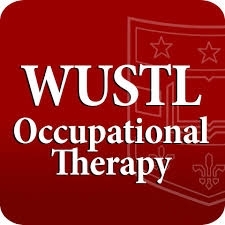 Washington University Occupational Therapy Program has selected United 4 Children as the recipient of the Community Partner Appreciation Award 2018. This award recognizes partners who have exemplified collaboration in the areas of education, research, or community practice. The Community Partner Appreciation Event was held on October 17, 2018. We thank Washington University for partnering with us in providing important tools to help children “Move 2 Learn”! The Move2Learn project pairs a volunteer with each infant/toddler in a classroom. The volunteers visit the same room every week to help assist teachers in getting their little scholars up and moving. Volunteers bring age appropriate activities and work with the teachers to compile a list of motor activities for their young students.